Why? We’re full-on geeks, we keep up with technology, we’re passionate about what we do, we use the latest software, and we’re VERY experienced [with a proven track record] when it comes to getting your site targeting traffic from the search engines and social media marketing! 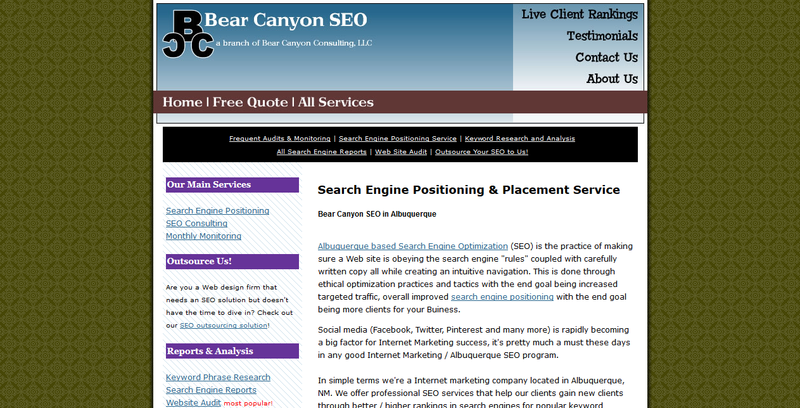 We’re not talking the *Internet Marketing* where people slam your site with unrelated links… we build Albuquerque Web sites with usability consideration, search engine optimization (SEO), social media, goals, responsive design,calls to action and MORE to get your Web site traffic to convert into PAYING customers. 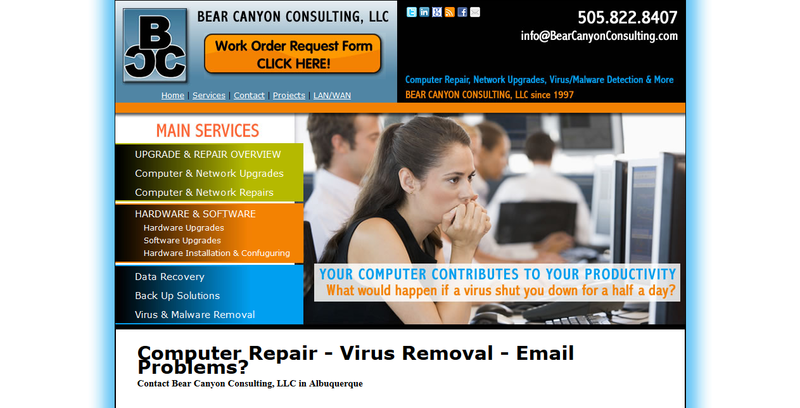 We’ve been here since 1997 and have been designing Web sites for Albuquerque and guess what? We’re here to stay. 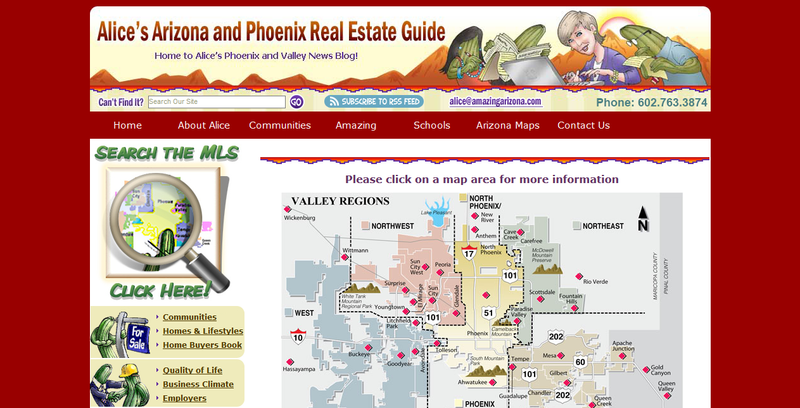 During our many years on the job we’ve been cranking out some of Albuquerque’s most hippest, effective and most importantly – SUCCESSFUL Web sites on the Internet. We’re Located in the beautiful southwest but we don’t stop there – we have clients in just about every state and even some in other countries. 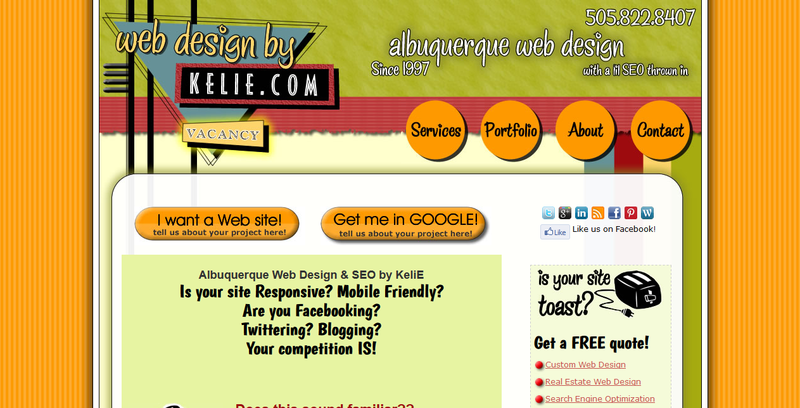 Our team of Albuquerque Web designers specialize in the latest tactics, techniques and practices required to get you to the top; bringing you new clients. That’s what advertising SHOULD do!